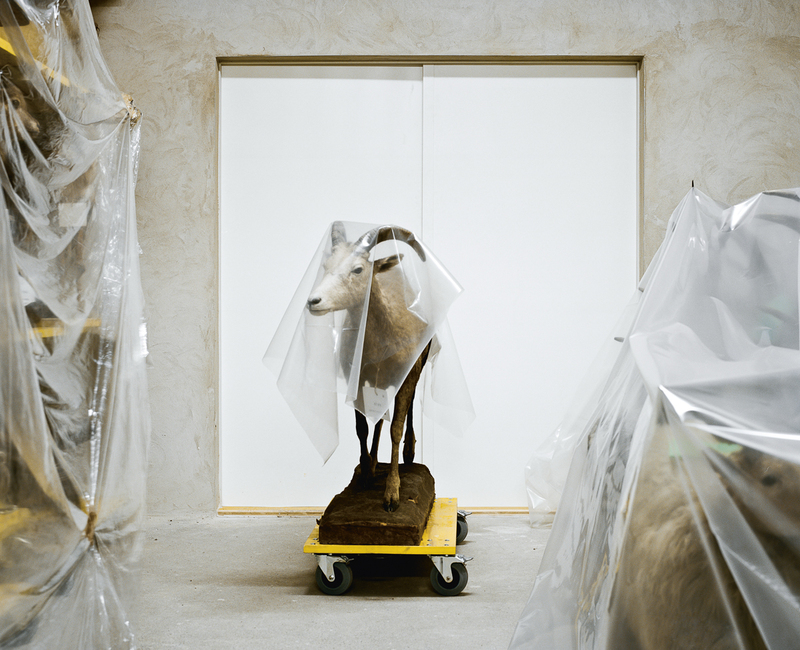 “What does a museum look like behind the scenes?” was the question Austrian photographer Klaus Pichler found himself asking after seeing the unusual sight of museum exhibits in storage. 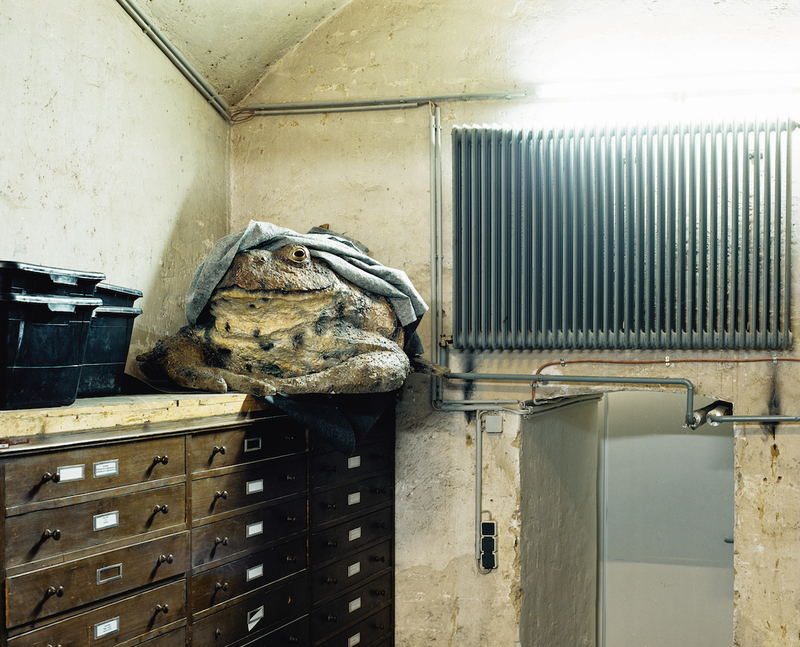 He’d wandered by a basement window in the Museum of Natural History in Vienna and caught a glimpse of an office. 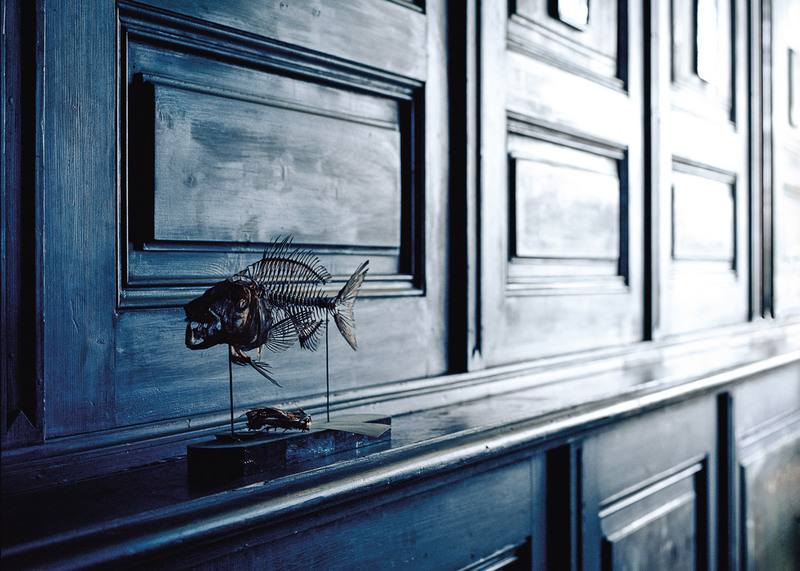 It looked normal, with a desk, computer, and shelves, but there was also something entirely out of place – a stuffed antelope. 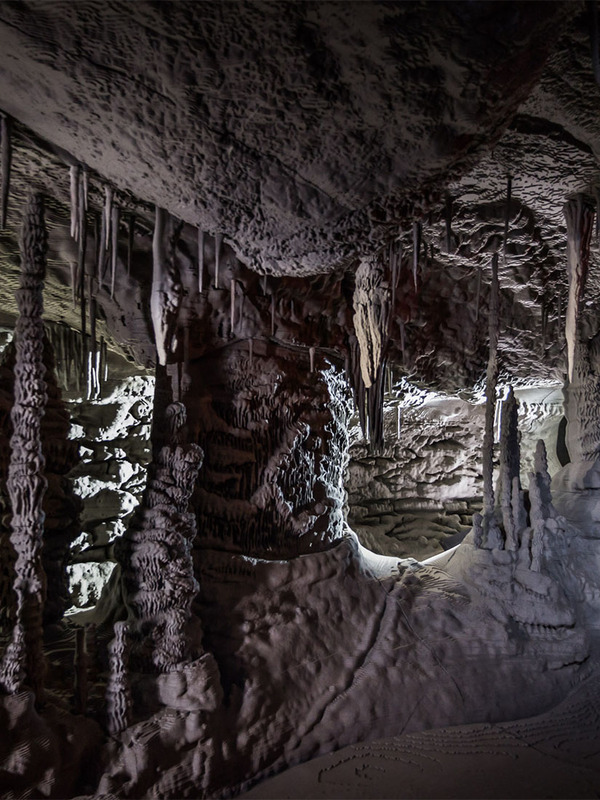 The experience was the catalyst for his incredible project ‘Skeletons in the Closet’, which saw him explore the museum further, snapping photos of the curious sights that lay in wait. This wasn’t about photographing the staged exhibitions littering the museum, but rather a look behind the curtain. 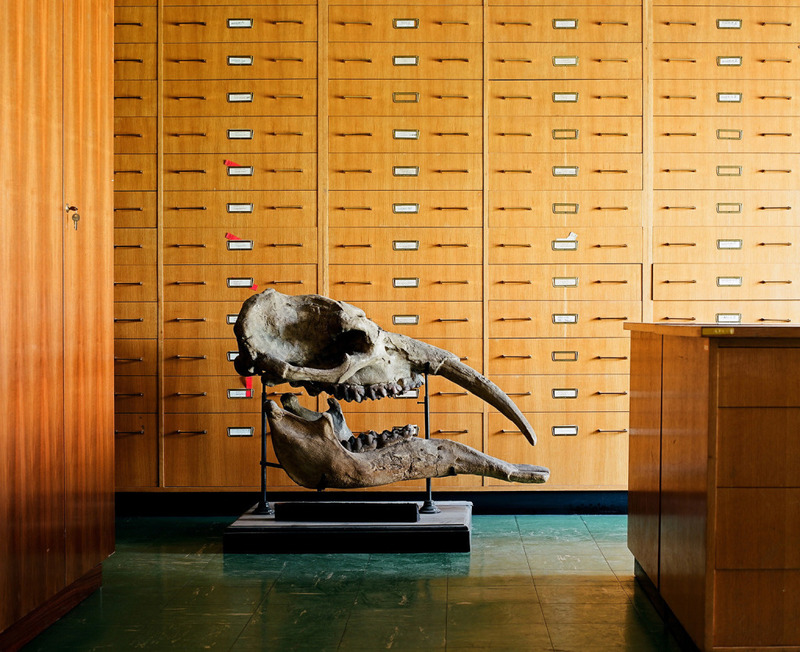 Instead of photographing exhibits prepared for public viewing, Pichler was free to roam behind the scenes of the museum, all 45,000 square meters of it, capturing the displays in unique and fascinating ways. 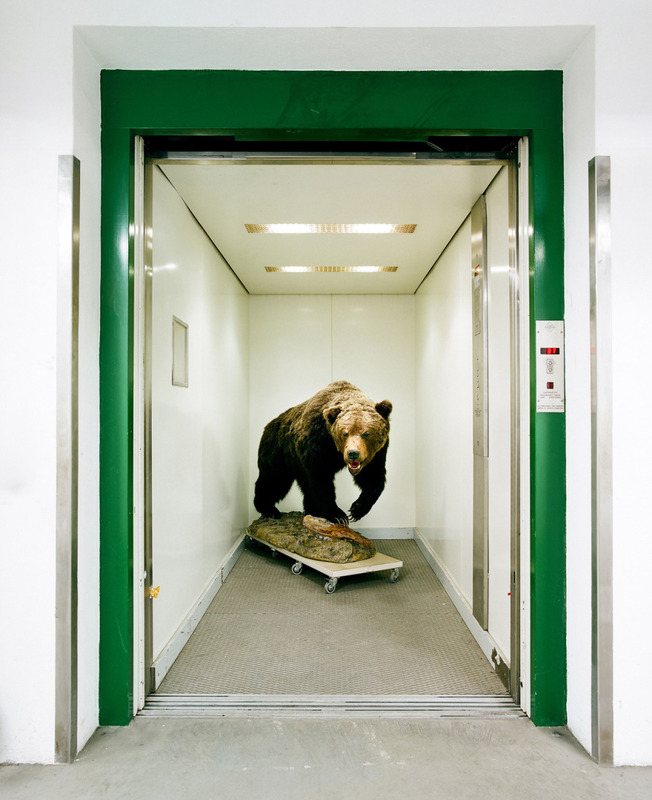 A towering brown bear calmly waiting in an elevator. 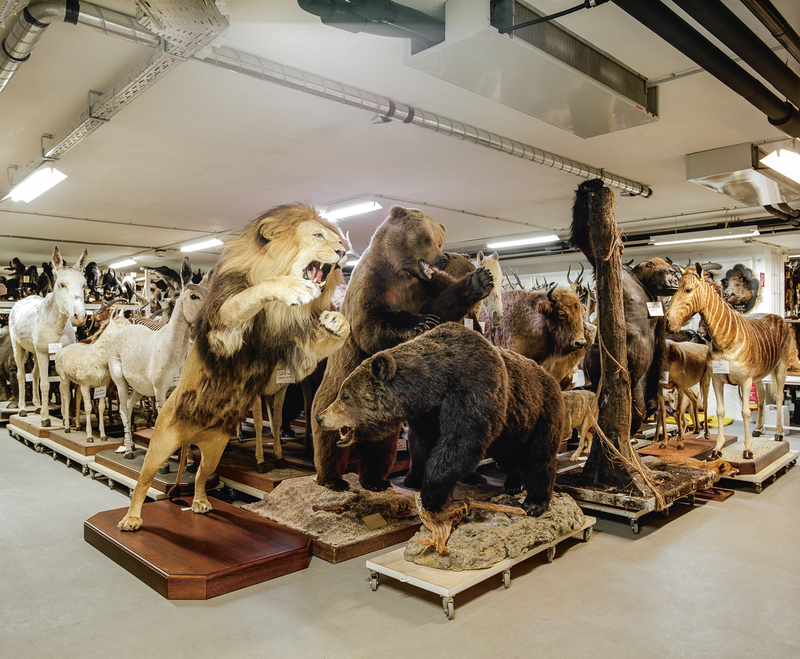 A room of taxidermized animals patiently lined side by side on trolleys. 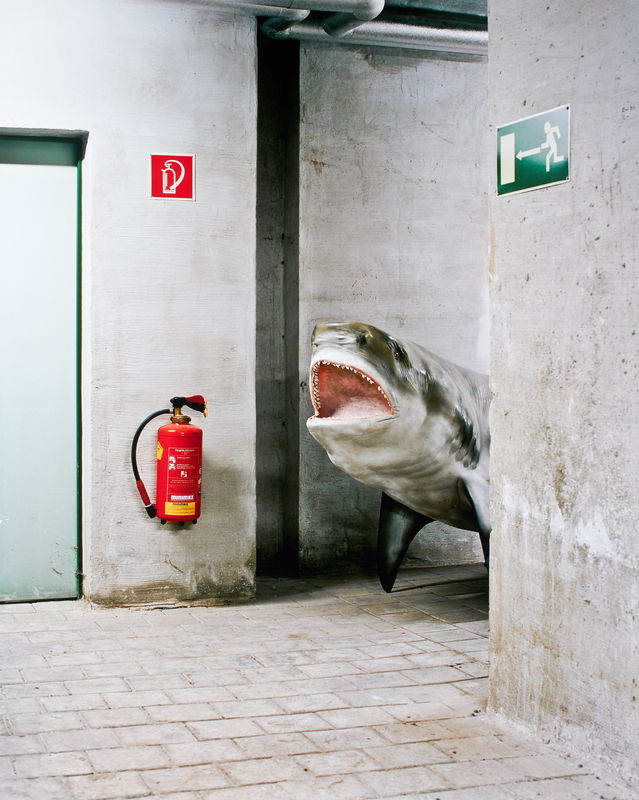 A shark curiously peaking its head around a corridor. 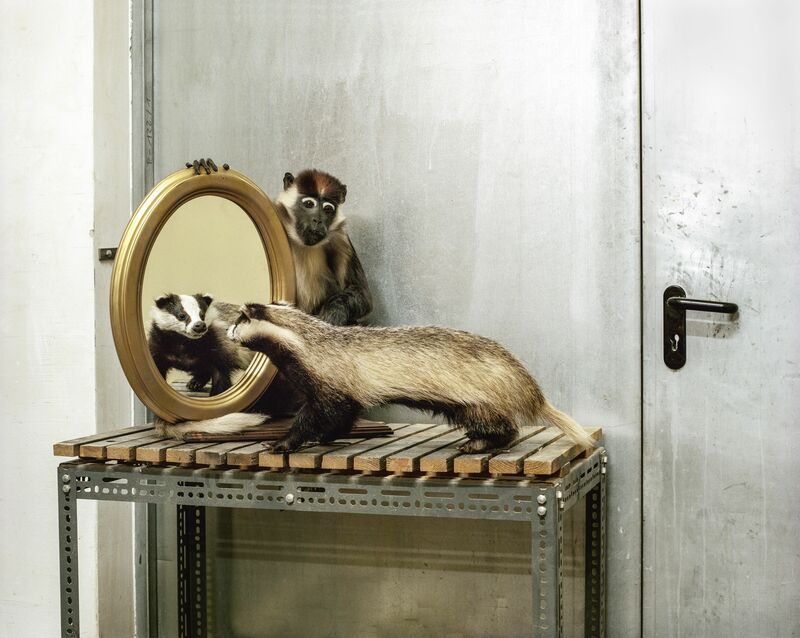 A monkey kindly holding a mirror for a badger to see its reflection. 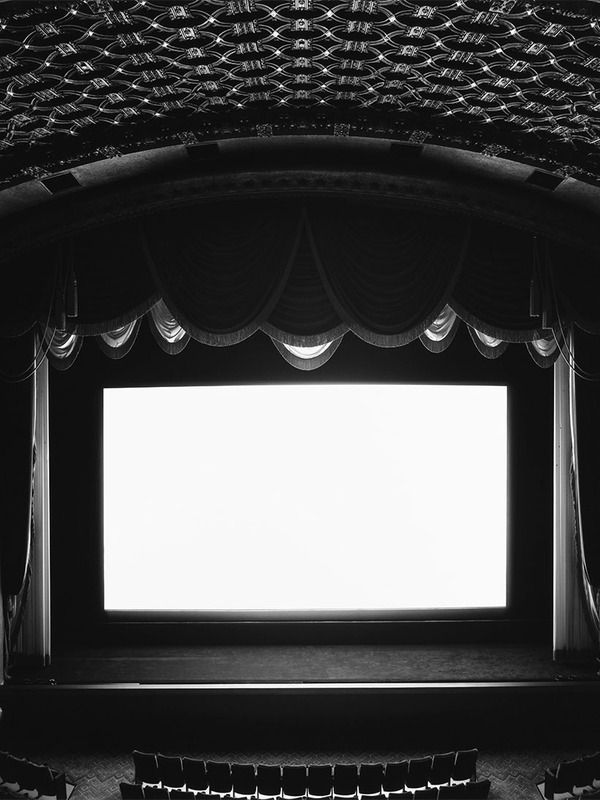 The absurdity of each image is apparent, but the fascination of each piece truly sets in when you discover that Pichler did not set up a single exhibit before shooting. 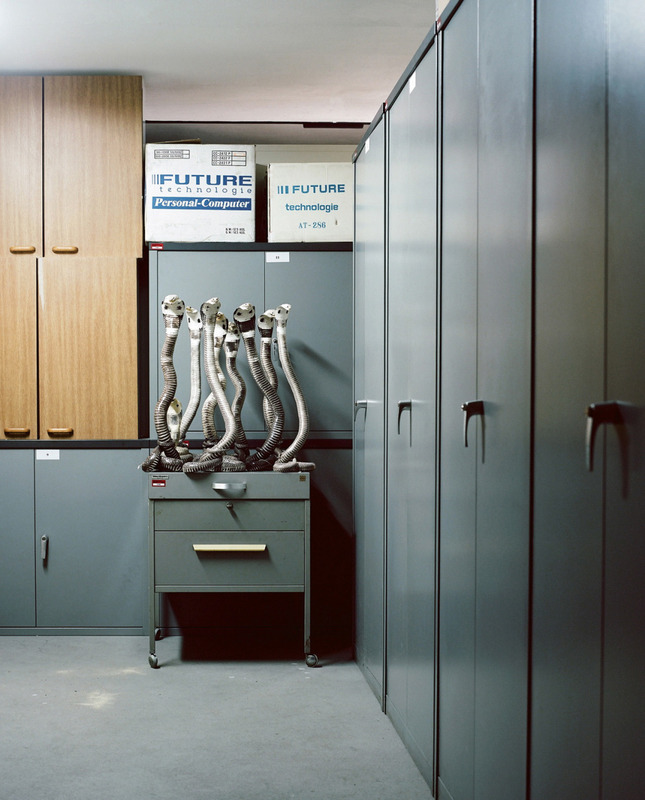 He just wandered through the vast storage areas and hidden corridors of the museum and captured what he found. 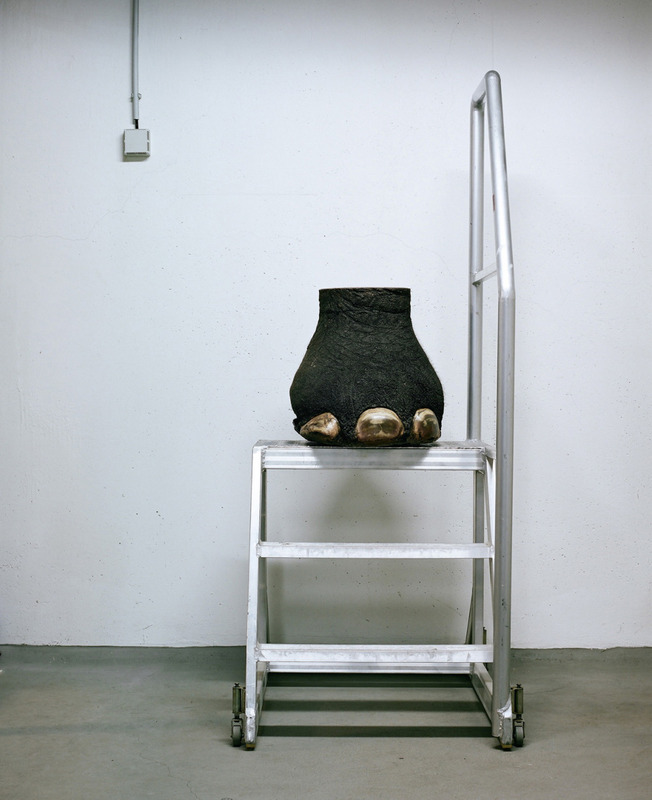 Oddly enough, Pilcher captures the stored exhibits with more life than those that are on display. 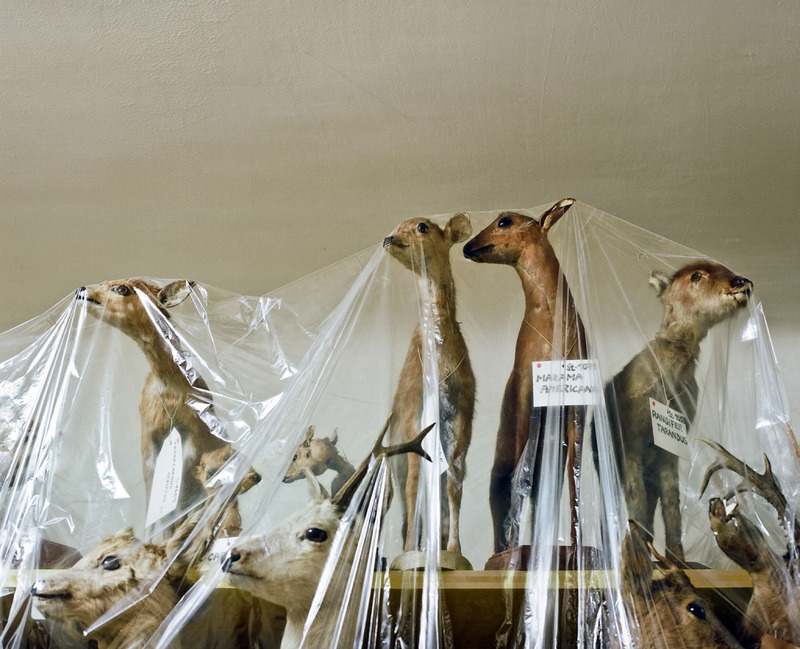 These are dead animals stuffed and treated for public display, but the humor weaved into each frame make them appear fuller of life than in their natural displays ever could. 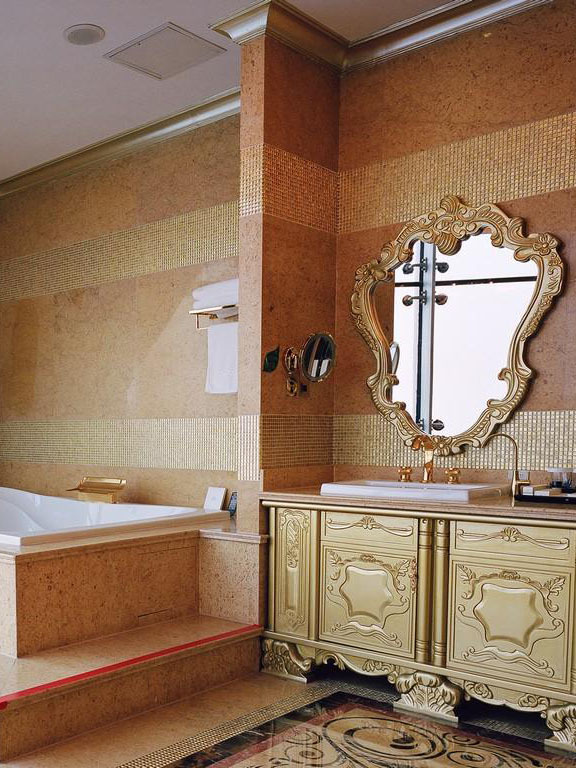 These compositions, as ludicrous as they appear, are natural in their own light. 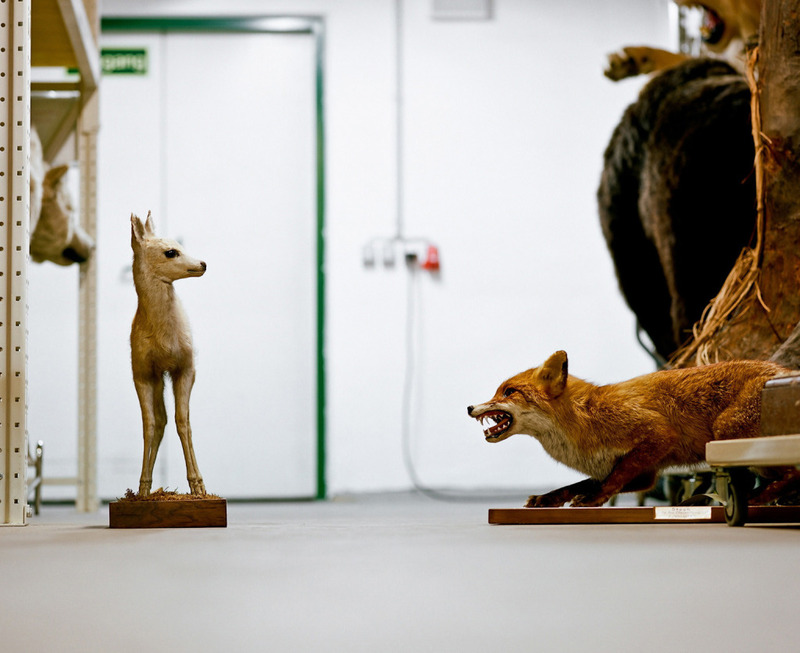 Taxidermists, researchers, museum curators – these are the people working day and night with the exhibitions and arranging them as required, giving life to animals long dead. You can’t help but smile as you come across each photograph, each one more comical than the last, but at the same time, there is an eeriness to each still. 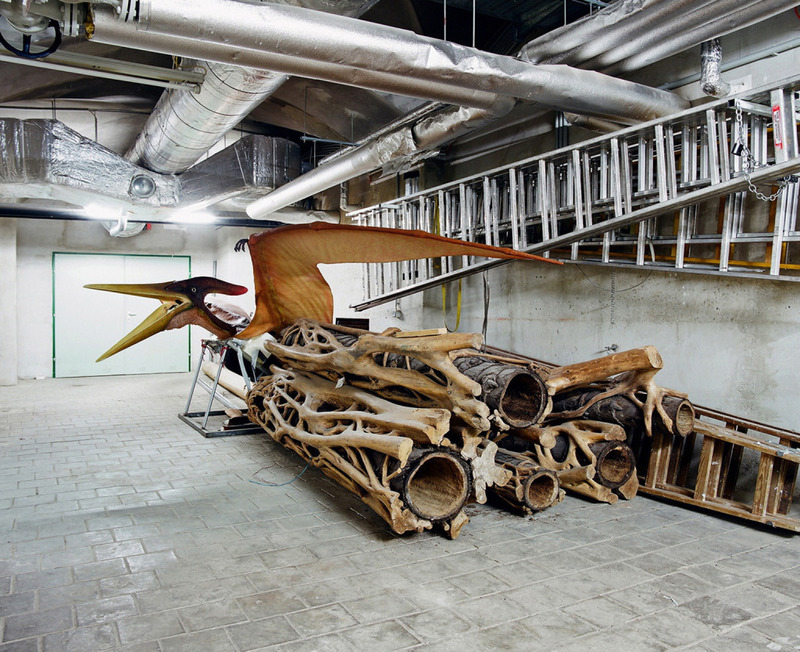 Stored away in forgotten hallways and cellars, these animals appear lost to the world, until they are rolled out for the next exhibition. Of course, the humor is always present in every scenario, reigning us back in to truly appreciate the juxtaposition of the animals and their environment. Never in death has there been so much life as with the Skeletons in the Closet. All images by Klaus Pichler/klauspichler.net unless otherwise noted. 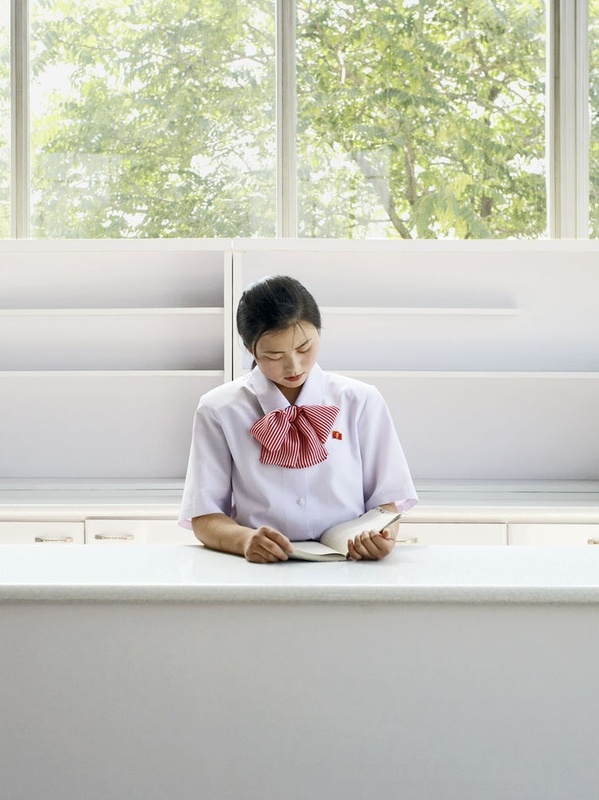 Home > Photography > What does a museum look like behind the scenes? 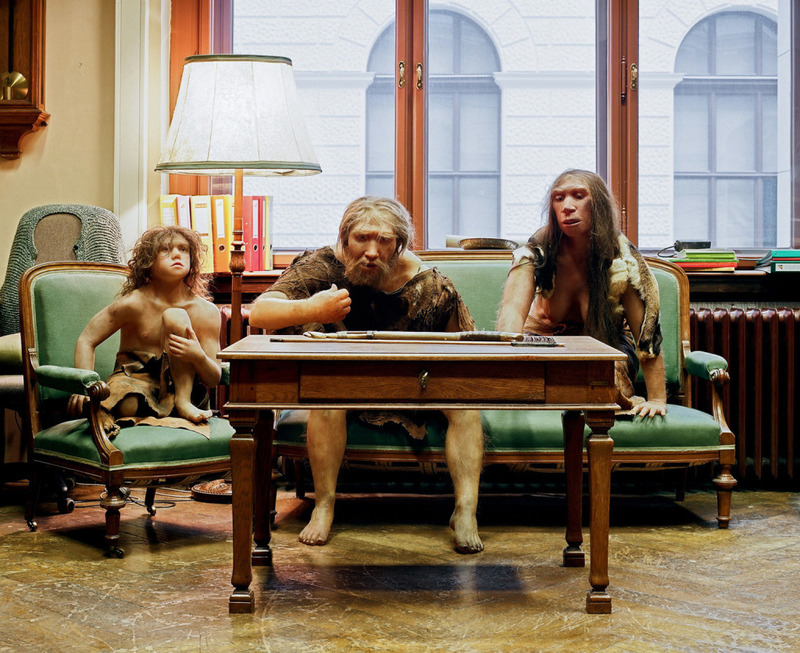 Posted on September 18, 2018	in the category Photography and tagged Art in Austria, Art in Vienna, Klaus Pichler, photography. 3 Responses to "What does a museum look like behind the scenes?"